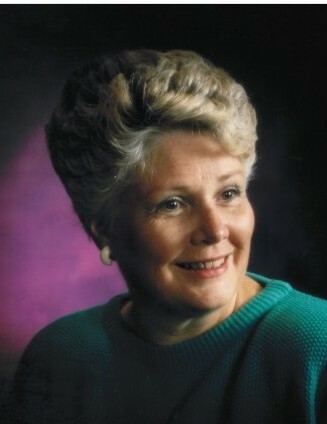 Joan Waldram Rowe, beloved wife, mother, grandmother, age 86, passed away peacefully on March 25, 2019 at her home. Born August 25, 1932 in St Anthony, Idaho to Byron Lorenzo Waldram and Violet Rae Garner. Married Robert Lynn Rowe December 4, 1952 in Logan, Utah. Robert Lynn Rowe (Bob) died November 13, 1983. Joan and Bob raised eight children together. 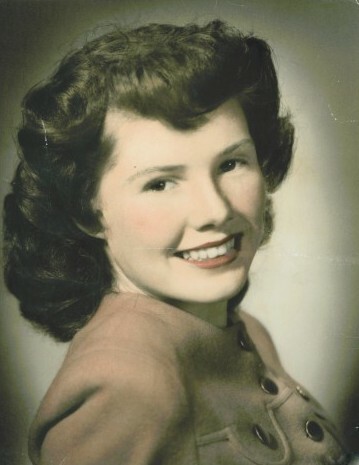 She was a proud member of the Church of Jesus Christ of Latter-day Saints. She had a wonderful sense of humor and loved to have fun, which at times got her into trouble. She was a second mom to several of her children’s friends. She was a wonderful cook and homemaker. She travelled extensively, loved to golf, enjoyed the arts, and regularly attended the Shakespearean festival. After Bob’s death she worked as a unit secretary at Cottonwood Hospital. She will always be remembered by the staff, and her family, for her delicious cinnamon rolls. Preceded in death by her mother and father, her 8 siblings, husband Robert Lynn Rowe, and daughter Rebecca Dillman (Lane). Survived by children: Vicki Rowe, Valoree Bland, Salli Hislop (David), Robert Kent Rowe (Diann), Leslie Wathen (Jeff), Richard Lynn Rowe, Byron Thomas Rowe (Charrie). Funeral services will be held Friday, March 29, 2019 at 11:00 a.m. with a viewing from 9:45 am to 10:45 am. This will be at Joan’s ward house at 1500 East 8600 South Sandy, Utah. There will also be a viewing Thursday March 28, 2019 from 6-8 pm at Cannon Mortuary, 2460 E Bengal Blvd Cottonwood Heights, Utah. Interment: Mountain View Memorial Estates, 3115 E Bengal Blvd Cottonwood Heights, Utah.